Create a folder in your Google Drive. 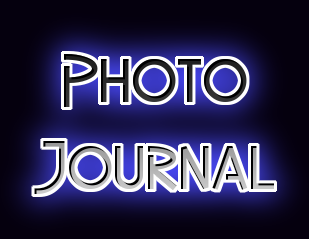 Label it "Photo Journal 15-16"
"Share" the folder to get the link for view only. Post/share the link on a website or some place students can easily access it. The efficient part is how to get the images into the folder. Get the Google Drive app on your smartphone. Take a picture of their work or whatever you want to add to the photo journal. With the Google Drive app, open the folder you created for the photo journal, and simply upload the image(s) from the camera roll. Once this is done, the images are instantly in the folder and instantly available for viewing. Students constantly asked me when I was going to update the Photo journal. It was a good motivator because they would ask if a certain project or task was going into the photo journal and if specifically their project was.